The commonest of the hawksbeards (Crepis spp. ); virtually ubiquitous in grassy and waste places. 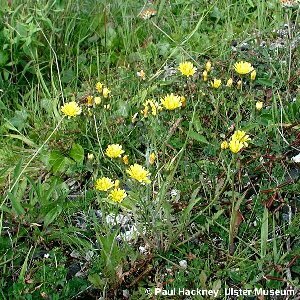 All names: Crepis capillaris (L.) Wallr. ; Crepis virens L.